Trace around your shoe to create a shoe shape. Next, write different words from various word families on the shoe shape. Then, mix them up and tape them to the floor to create a path (curved, straight - whatever you'd like!) of shoe prints. 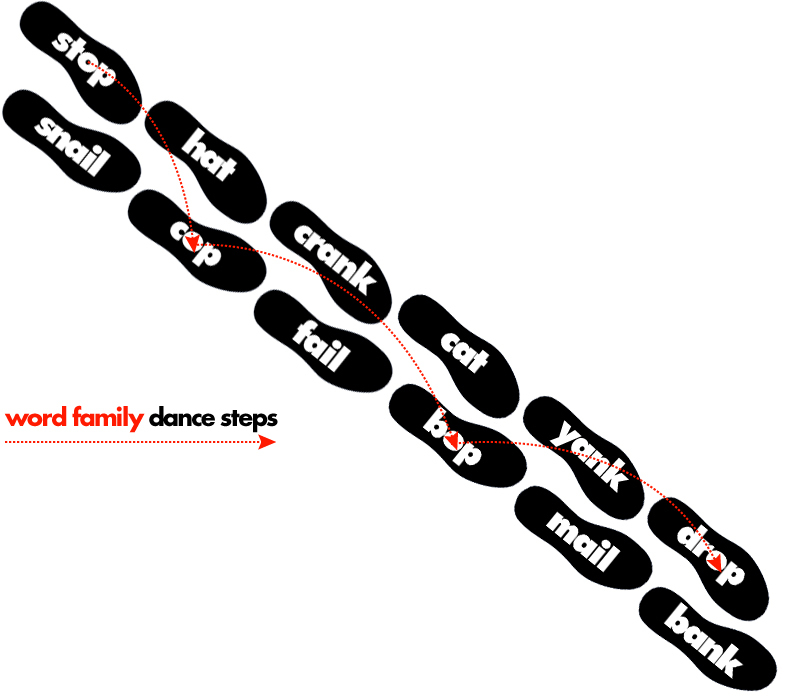 Kids move (dance / hop) to words that belong to the same family!